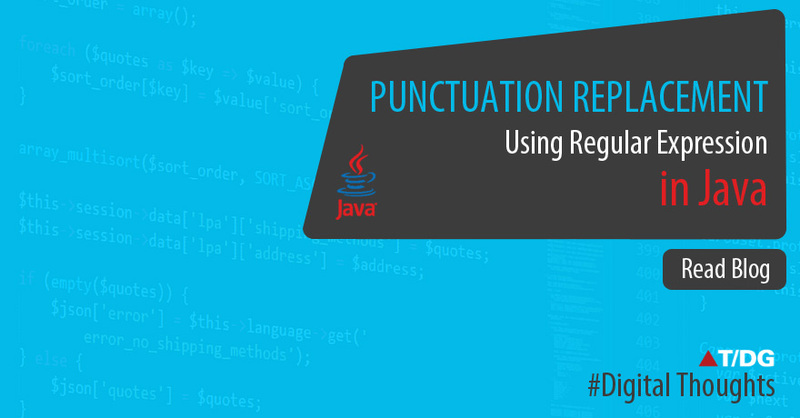 Replace all the punctuations from a string by “space + punctuation + space” using Pattern Matcher – Regular expression in java. We parse the text using pattern matcher classes and replacing the “matcher group” with “space matcher group space” i.e. if matcher group is “/” then we replace it with “ / ”. Note: We can replace that matcher group with any other string.